The 240MW Ararat onshore wind farm will be Australia’s third biggest wind farm when completed. Image: courtesy of General Electric. Ararat was chosen for the wind farm as the location lies on high ground and offers good wind resources. Image: courtesy of General Electric. The Ararat wind farm will be equipped with 75 GE 3.2-103 turbines. Image: courtesy of General Electric. Ararat Wind Farm is a 240MW onshore wind farm being developed by Renewable Energy Systems (RES), a subsidiary of Sir Robert McAlpine. The project is located approximately 180km northwest of Melbourne and between 9km and 17km northeast of Ararat in Victoria, Australia. Upon completion in 2017, it will be the third biggest wind farm in Australia. The investment on the wind farm is estimated to be $450m, which is financed by Partners Group, RES, OPTrust and General Electric (GE). Construction of the wind farm began in August 2015 and grid connection is expected to be completed by April 2017. The project is designed for a life span of 25 years. RES was selected received a 20-year feed-in tariff (FIT) from the Australian Capital Territory Government for a significant portion of the wind farm’s total output in February 2015. RES selected Ararat as a suitable location for a wind farm in 2007, as the location lies on high ground and offers good wind resources. The planning permit for a 240MW onshore wind farm was submitted to the Minister for Planning in January 2010 and was approved in that October. Planning permission for grid route and substation to connect the wind farm to the main transmission network was granted in 2012. The wind farm will include 75 GE 3.2-103 wind turbines, which have a hub height of up to 94m, a rotor diameter of up to 104m and a blade tip height of up to 135m. Of the 75 turbines, 70 will be erected within the Ararat Rural City, while the rest will be installed within the Northern Grampians Shire. The Ararat wind farm will be capable of producing sufficient renewable energy to meet the electricity needs of 123,000 homes a year in Victoria. The project will provide significant benefits to the local residents by offering 165 direct and 120 indirect jobs during the construction period. The project will contribute to the reduction of greenhouse gas emissions and deliver economic, social and environmental benefits to the regional economies of Northern Grampians area, Ararat Rural City and the Pyrenees Shire Council. It will also establish a community fund and use approximately $75,000 a year from the wind farm revenues to support communal welfare. The onshore wind farm is being constructed in phases. Construction on the phase one began at the North West side of the Pyrenees Highway, in September 2013. Millers Contractors completed a new road seal, new entrance to the site from Woodlands road, site track, office, car park and equipment area under the first phase in November 2013. "The Ararat wind farm will be capable of producing sufficient renewable energy to meet the electricity needs of 123,000 homes a year in Victoria." The wind farm will be connected to the main transmission network through a substation outside Elmhurst. The generated power will be transmitted via a 20km-long, 132kV overhead line to the point of connection on the current Ballarat-Horsham 220kV grid line. The Australian Capital Territory Government (ACT) entered into a power purchase agreement for approximately 40% of the output from the wind farm. 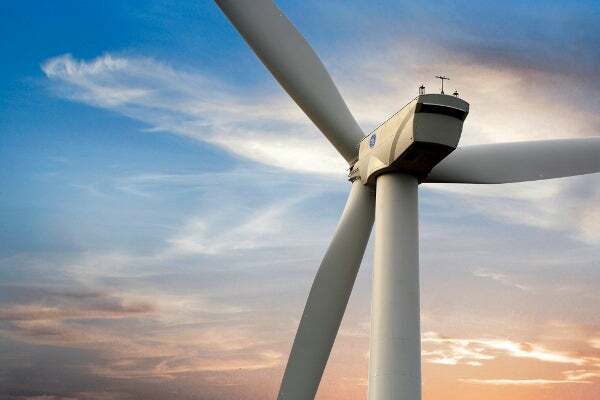 RES will be responsible for the development, construction and commissioning of the project, while GE will support the operation and maintenance of the wind farm under a 10-year service agreement. Transmission General Holdings Australia (TGHA) signed an agreement to connect the wind farm’s 75 turbines with the national electricity grid. It will also design, build, own and operate the 132kV transmission line and a 132 / 220kV substation at Easter Brooks Lane. Powercor Network Services (PNS) will perform the design and construction of the substation and transmission line for TGHA. Downer was awarded a $130m contract for 33kV transmission network, balance of plant, civil and electrical infrastructure, logistics and erection of the wind turbine generators. Wilson Transformer was selected to supply two 170MVA power transformers for the wind farm. Transmission General Holdings Australia will connect the 75 turbines to the national electricity grid. Keppel Prince was contracted to supply 35 wind towers for the project. Herbert Smith Freehills is the project finance adviser for the wind farm. Detecting blade defects and monitoring the ageing of wind turbines are major concerns for the wind power industry. Cornis is an innovative start-up created by holders of two PhDs of CNES (the French space agency) and of ESA (the European Space Agency) to offer the market efficient monitoring and inspection techniques for wind turbine blades.